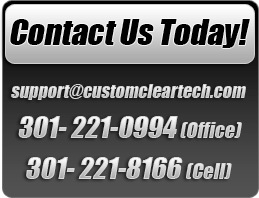 We have the BEST installers in the business to meet all of your clearbra needs. Clearbra or paint protection is a durable colorless urethane film applied to high-impact areas of your vehicle that takes the brunt of damaging road debris. As you can see by the illustration above the film goes one as a clear coat that is virtually undetectable once installed. We can install this on minivans, SUV’s, trucks, full sized luxury vehicles, sports and performance vehicles, motorcycles,trailers, ATV’s, Rv’s boats, jetskis and trailers. Any motorized vehicle you want protected- We can help! WHY DO YOU NEED IT? Because it keeps your paint looking great and MOST OF ALL it helps boost your trade-in value. The question is…..Why wouldn’t you install paint protection to help protect your investment? Dinoc is a 3 dimensional Pigmented polyvinyl that comes in carbon and various colors. Dinoc can be applied to ANYTHING- Cars, Trucks, Motorcycles, Automotive interiors, All home appliances, Laptops, Cell phones and other hand held devices. Our certified installer specializes in applying this product to the interiors and exteriors of Cars and Trucks and we can cover All Motorcycle parts. You would be amazed at what Dinoc carbon could do to improve the look of your cars interior and exterior and motorcycles. Our carbon comes in various colors and shades- Our most popular is the dry carbon, which is displayed in the photo above. Please check our Photo Album to see the various installation options available and feel free to contact us with any questions. There are so many installation options available that we are unable to display them all. We offer custom race strips, race team logo’s and numbers. We can take care of all our your custom graphic and lettering needs for your car, truck or motorcycle.